Fortunately, it’s very easy to make your own Off! 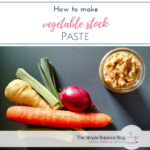 substitute – but with completely natural ingredients. The secret is in essential oils, the scent of which is generally perceived as fairly pleasant. It’s certainly ten times more pleasing to my nose than its commercial counterpart! Insects and even ticks, on the other hand, find a number of these oils extremely repulsive, which makes them a wonderful natural alternative to Off!. I have chosen a mixture of oils that when combined are not only effective against mosquitoes and flies but also keep ticks at bay. Essential oils do not dissolve in water, though. Therefore, the naturally skin-soothing witch hazel is the carrier substance of choice, paired with a teaspoon of vodka for better mixing. Witch hazel is available in two varieties. The more common and less expensive version is an alcohol extract, much like its vanilla cousin. The higher quality form of witch hazel is a distillate (using steam) and therefore more gentle on your skin. But even with the alcohol-based extract, it’s much more natural and harmless than the list of ingredients of a classic mosquito spray, don’t you think? Please note: Essential oils should be used with caution during pregnancy. There are some that can be used as natural medicine, but this should only be done in consultation with your midwife and/or doctor. You should also skip peppermint oil when you are breastfeeding. Peppermint is great for weaning, but before you reach this phase, it might have a negative effect on your milk supply (and thus on your nights…). Mix all ingredients in the order that they were listed and fill into one or more spray bottles, preferably made of dark glass. To use, simply spray on all exposed areas of skin and distribute evenly with your hands. Do not spray in the direction of the face. Shake well before use. Mix all ingredients as listed and fill into one or more spray bottles, preferably made of dark glass. If necessary, spray onto exposed skin and gently distribute evenly. Instead of vodka, you can also use rubbing alcohol. Shake well before use. For babies, it’s been recommended to apply the mosquito repellent to clothing rather than skin and, of course, to avoid spraying it on their faces. If you can’t stand certain oils used in the recipe, there are plenty of ways to make your own blend. 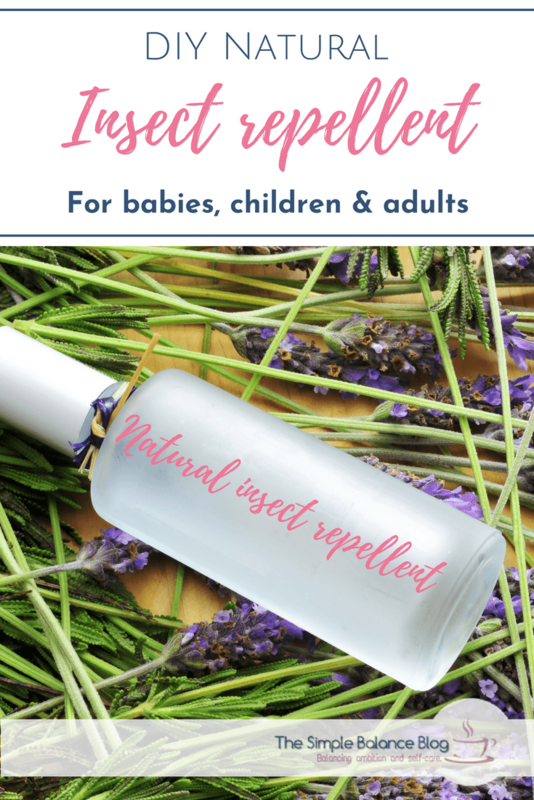 You can also use the essential oils of sage, lemongrass, lemon, lime, spearmint, clove, cinnamon, basil, patchouli or cedar wood for your very own insect repellent mixture. These oils can be used in the appropriate dilution from three years of age, but are effective against mosquitoes and ticks to varying degrees. Some are also called “hot oils” (like cinnamon) which makes them less suitable for skin contact. Eucalyptus is also very effective, but should only be used from the age of ten or in adults. Although lemon oil is effective against mosquitoes, I would refrain from using it in mosquito repellent as it makes the skin sensitive to light for 12-24 hours. Since insect protection is normally needed outside, this effect is not very helpful. Sufficiently large glass spray bottles are quite expensive and not that easy to find. Alternatively, I recommend filling one or more small glass spray bottles and storing the rest in a clean glass bottle with a screw cap. Be on the lookout to recycle any dark empty glas bottles that might fit one of your spray tops. 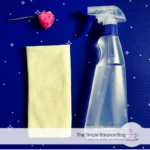 If you want to make this spray for several age groups in your family, then use the recipe that’s suitable for the youngest family member and use it on all of your children under the age of 10. This way, you only have two different sprays and don’t need to keep track of up to four insect sprays. For adults, each essential oil is reduced from 10 to 7 drops. The formula for children over 3 years is adjusted to 3 drops per oil (instead of 5). For the baby mosquito spray, you use 7 drops (instead of 10) of each oil. 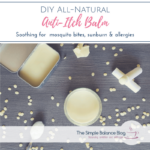 If you don’t have the energy to mix this spray, let alone make the balm, I’ve got you covered with the perfect lazy version: essential oil based bracelets. 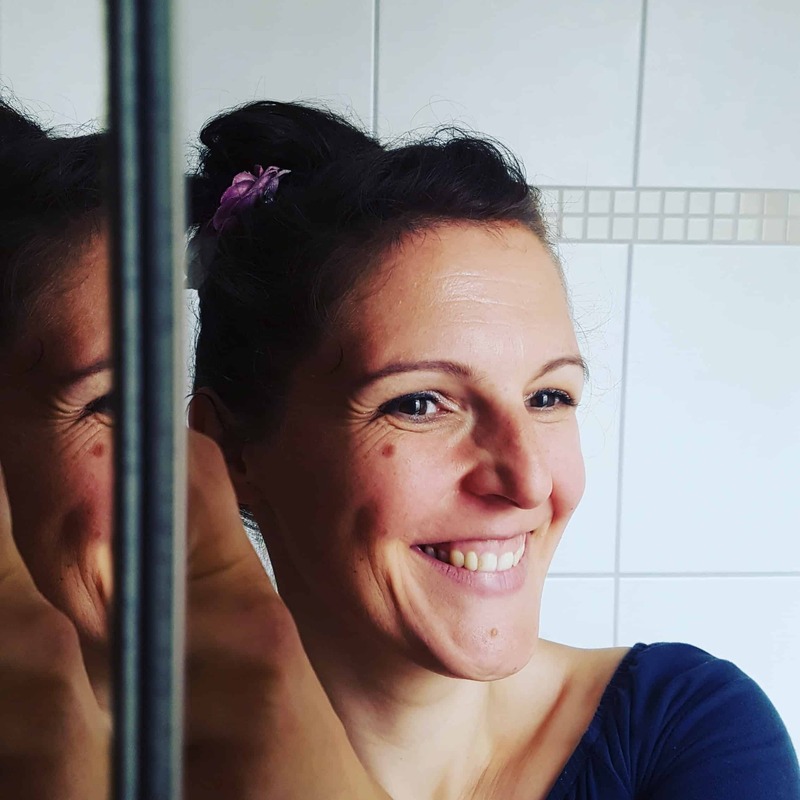 Not only are they ideal for kids who hate having something sprayed on their skin, but also for parents who tend to forget to spray… (Don’t ask me how I know…) They fit around wrists or ankles and work for up to 72 hours. You can then simply refresh them with this essential oil mixture yourself. Since there is no direct skin contact, there is no need for dilution. If you want them to last longer, use double or triple the amount of pure essential oils as given in the recipes above and mix them in a small roller bottle. When a bracelet needs refreshing, simply roll over the outer side a few times. As you can see, with simple and inexpensive methods you can prevent critters from ruining your experience of summer. 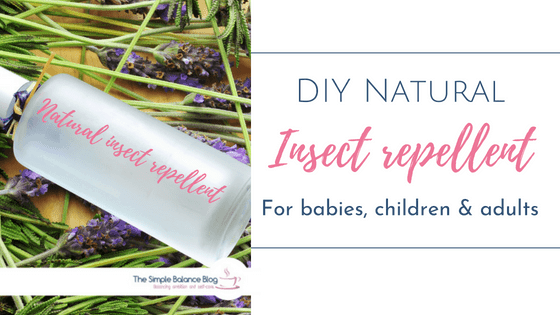 Whether you are in your garden or smack bam in the middle of a holiday paradise, this homemade insect repellent protects you and your family effectively and naturally.